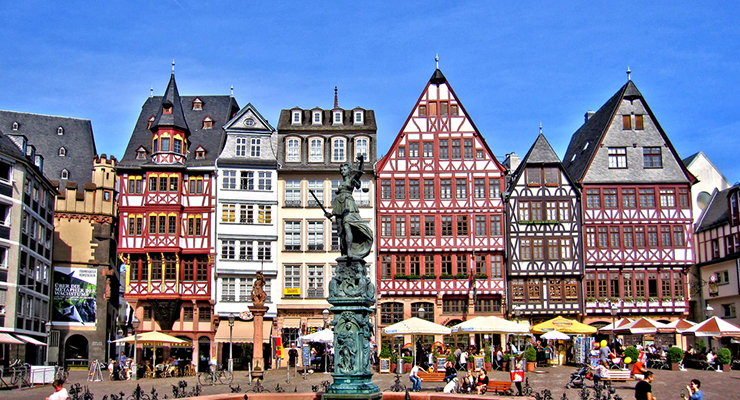 Frankfurt is only a 2 hour flight from Dublin and a perfect stop for a beautiful and short vacation trip. Frankfurt, with 736,000 inhabitants, is the fifth largest city in Germany and offers a variety of modern and old buildings and museums that are worth visiting. Today, Frankfurt is one of the most important international global hubs for commerce, culture, education, tourism and transportation. 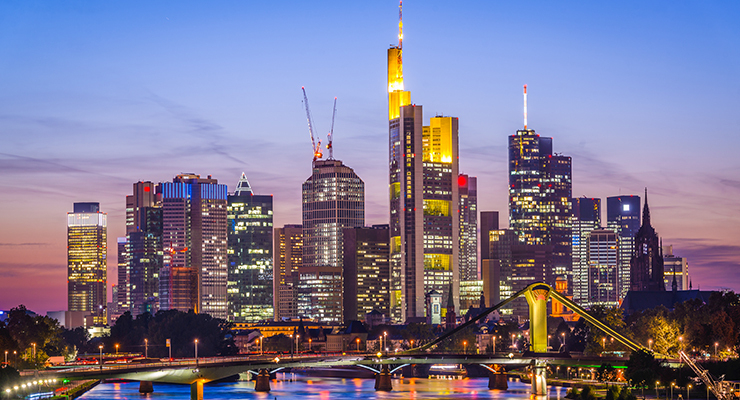 Here are our top tips on what to do during a short trip to Frankfurt. 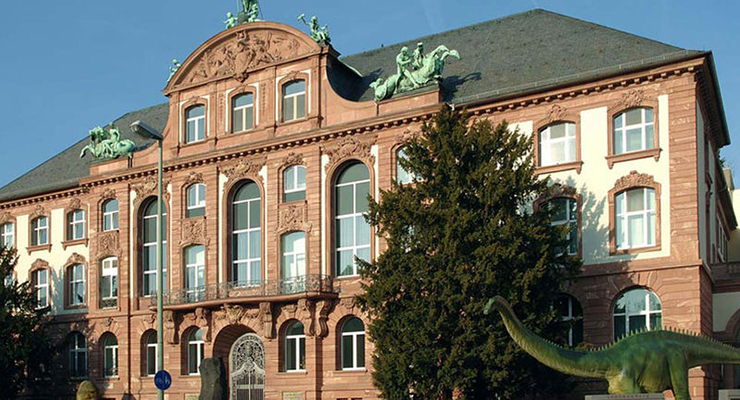 Everyone who is in Frankfurt should visit the Römer, it is one of the oldest and most beautiful town halls in Germany. Since 1405 the Römer has been the town hall of Frankfurt and is the part of the Römerberg. The Römerberg is also called Rathausplatz and is the centre of the old town. In 1592, the city of Frankfurt became the coronation city of the kings and emperors of Germany. After that the largest coronation feast took place there and all the crowned heads showed themselves to the people at the window of the Römer. 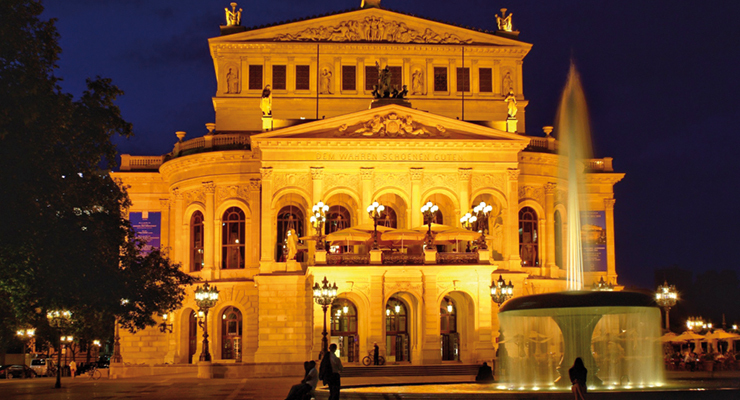 The old opera is a landmark of Frankfurt’s cultural life. The Opera Square with the old opera and the splashing fountain offers a breath-taking backdrop for a beautiful souvenir photo. Because of its central location you can spend a quiet afternoon in a cafe and enjoy the beautiful view or enjoy the wide range of city centre shops. The traditional Christmas Market in Frankfurt at the Römer is one of the most significant and beautiful ones in whole of Germany. Many tourists come every year just to visit the fairytale Christmas Market. 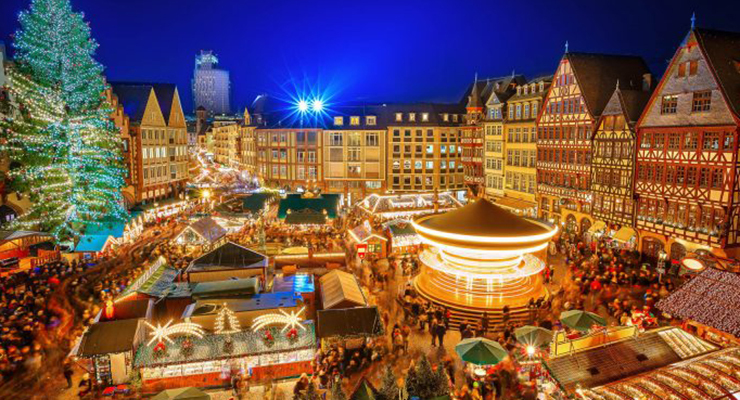 About 3.2 million visitors come to Frankfurt Christmas Market every single year to enjoy their Glühwein (mulled wine) and to experience the Christmas spirit with their family and friends. For only 7.50 euro you can enjoy the beautiful view of Frankfurt on the viewing deck of the fourth highest skyscraper in Germany, the Main Tower. At a height of 200 meters, you will be able to enjoy the breathtaking views and take the memorable photos. 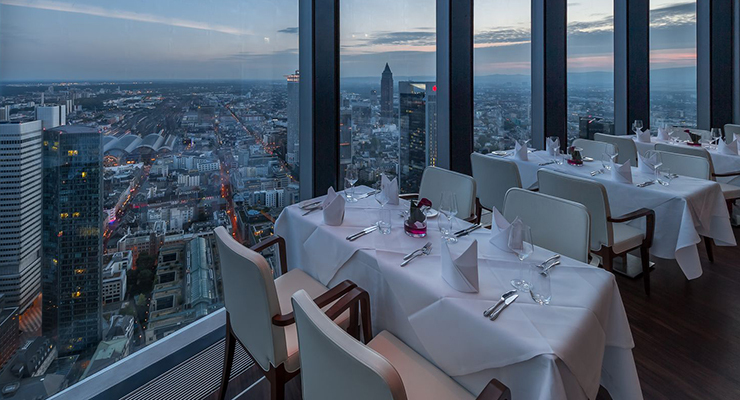 The Main Tower also offers you a beautiful restaurant with delicious food and, for all athletes, the highest fitness club in Europe with a skyline view of Frankfurt! The Senkenberg museum is one of the biggest Natural History Museum in Germany. The History Museum shows the diversity of life and the evolution of creatures as well as the transformation of our unique earth. The Museum was built by architect Ludwig Neher, in 1904-1907 who also built lots of meaningful and beautiful buildings in Germany. Be sure to follow us on Facebook, Twitter or Instagram so you won’t miss our latest travelling tips! If you do end up making plans to travel to Frankfurt, make sure you have travel insurance for your trip. Travel insurance is important, if you become ill or have an accident you are prepared. Remember that you’ll also be covered against all other mishaps that might befall you during your trip, such as lost luggage or cancelled/delayed flights. Choose single trip travel insurance if your trip is likely to be your only travelling of the year, or go for annual multi-trip travel insurance if you’re likely to do more travelling during the year too. Whatever policy you choose with Insure My Holiday, you are assured of a high standard of cover at a low price. All are as generous or more generous as you will find with any other travel insurance provider, so it all adds up to even more great reasons to choose Insure My Holiday for all your travel insurance needs. Just get a travel insurance quote now to see how much you can save!